As a species, humanity has plunged itself into an abyss of displacement, greed, tension and paranoia. Out of the hellish darkness emerges Lebanese extreme death metal band KAOTEON with a savage blackened attack in the form of their new full-length album, Damnatio Memoriae. The album is due for release on February 23, 2018, and pre-orders are available now via https://kaoteon.bandcamp.com. 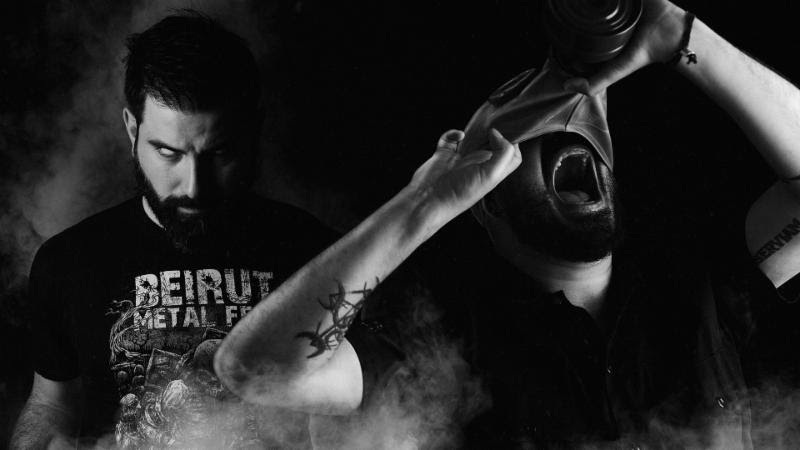 KAOTEON is an unusual east-west international extreme metal collaboration, originally hailing from the Middle East but now based in Amsterdam. For Damnatio Memoriae, full-time membersAnthony Kaoteon (Death Drive) on guitar and vocalist Walid Wolflust (Ordum, ex-Gothmog) tapped the distinctive talents of bass wizard Linus Klausenitzer of Obscura and drum master Fredrik Widigs of Marduk as guests. After performing with them live for the first time in Beirut in April at the Beirut Metal Fest, Klausenitzer described KAOTEON as, “legends of the Lebanese metal scene”. As a band, KAOTEON has faced censorship at the highest levels in their home country – they have been put in jail for devil worshipping, attacked by religious groups, and raided several times by police trying to use them as scapegoats to mask political and religious problems in the region. It’s a terrifying but enthrallingly honest story of a metal band trying to exist, succeed and break out of the Middle East. Damnatio Memoriae succeeds at portraying the band’s justified “f*ck-the-world” outlook with nine poisonous tracks that brim with exhilarating magnetism and needle-sharp riffing. 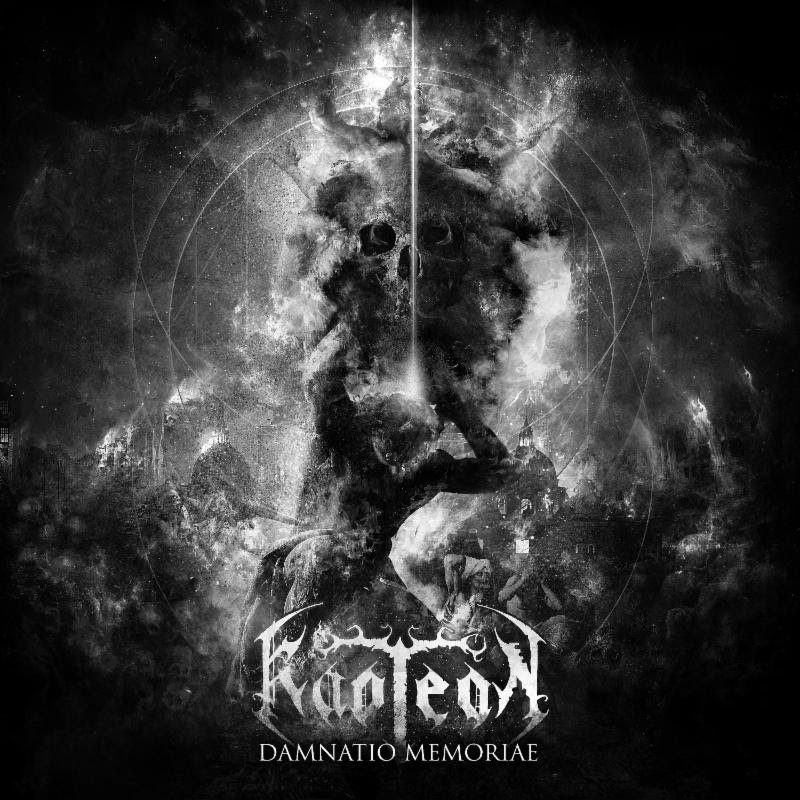 Beginning at track one with “Damnatio Memoriae” – which describes the ancient Latin punishment of eradicating a person or figure from all memory and mention – KAOTEON unleash an all-out ferocious aural assault, attacking the very foundations of their genre with absolute conviction. Damnatio Memoriae was self-recorded by KAOTEON, with mixing and mastering credited to renowned Swedish producer Daniel Bergstrand, who is recognized for his celebrated work with bands such as Behemoth, Dark Funeral, Dimmu Borgir and many more of today’s top metal artists. Damnatio Memoriae is explosive metal at its finest, and is sure to be one of the most buzzed about extreme metal releases of the year.